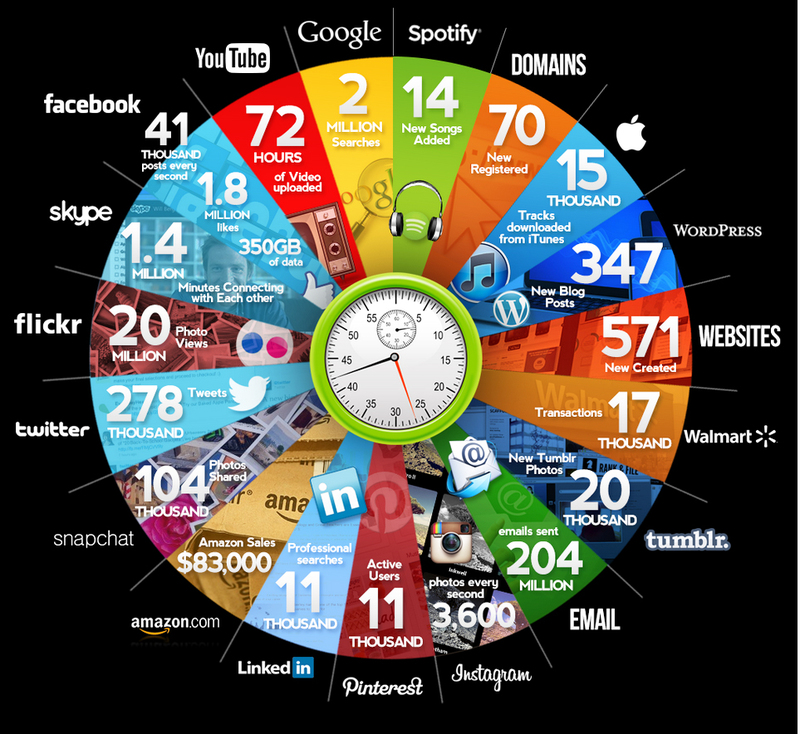 According to an article published in the second half of 2013, this is what happens on the ‘net’ every 60 seconds. ‘In just a single minute on the web 216,000 photos are shared on Instagram, a total of £54,000 ($83,000) sales take place on Amazon, there are 1.8 million likes on Facebook and three days worth of video is uploaded to YouTube. Cashback site Qmee has created an infographic that shows this information as well as how many tweets are sent, photos are viewed, Skype calls are made, domains are registered and more in 60 seconds. So what does this say to businesses who are trying to market themselves in 2014? You better get some fresh content. Google loves new and updated content. Content that is relevant to your market. We all know how the internet has changed everything. Now we learn, socialise, get medical treatment and buy online. It’s a revolution big or bigger than the one that brought industrialisation. Some say the industrial revolution also fostered a kind of anti socialisation. Small, close knit communities with thriving cottage industries were broken down as people moved to cities to find work in the factories and mills. Apologies here to Weber one of the fathers of sociology for this one minute noodle version of his and other’s theories. I work in marketing and I have a background in retail. My grandfather had many thriving shops around Sydney and country New South Wales. In 1933, my Aunt, one of his 5 daughters started a fashion business called Coral Lea which lasted in one incarnation or another for almost 70 years. It was a famous ‘brand,’ and glamorous to the hilt. My mother had her turn, telling me that she left school at 15 and was in the ‘shop’ the next day. Not formally educated, she was just about the best business person I have ever worked with. I often quote her to my students and in my writings. When I left advertising (did I ever?) I went to work for her. She trained me by hand and without a volume of Kotler in sight. One day she asked me to ring Vogue. Vogue Magazine was the fashion bible back before fragmented virtual communities. I was, let’s say, more than hesitant. A young guy in a little shop with interesting things. All she said to me was ‘They’ve got an empty magazine to fill.’ I rang and they came and we were featured in an upcoming edition. It was a powerful lesson in PR and marketing as well as human behaviour. I was never afraid again to call important people or publications. We were unique and I knew it. Now some say that retail is dead. That people are buying online and avoiding the shopping experience altogether. Why shouldn’t they? It’s easy to Google and compare. There’s billions of shops online. So let’s do it. Find the shopping cart provider/software and follow the prompts. We still have to tell people we have the shop, and to do that we need to find them. Where are they hiding today? Facebook? In your database? On linked In or Instagram? 1/ Do our products suit the online buying experience or are they too specialised? 2/ Do our customers need help to choose? We still need to use a mix of traditional and new media to promote our store and it will take some time.